My friends and I planned a Pokemon skit for Sakuracon 2010. All of the characters were snatched up pretty quickly and I was left with Jessie. 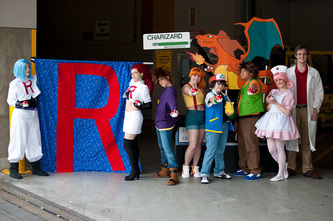 Although I wasn't too happy with the idea of cosplaying Jessie, I knew we needed her for the skit and decided to give it a shot. The costume itself was very easy. The shirt and skirt are lined and made from cotton. The black piece underneath is a sports bra. 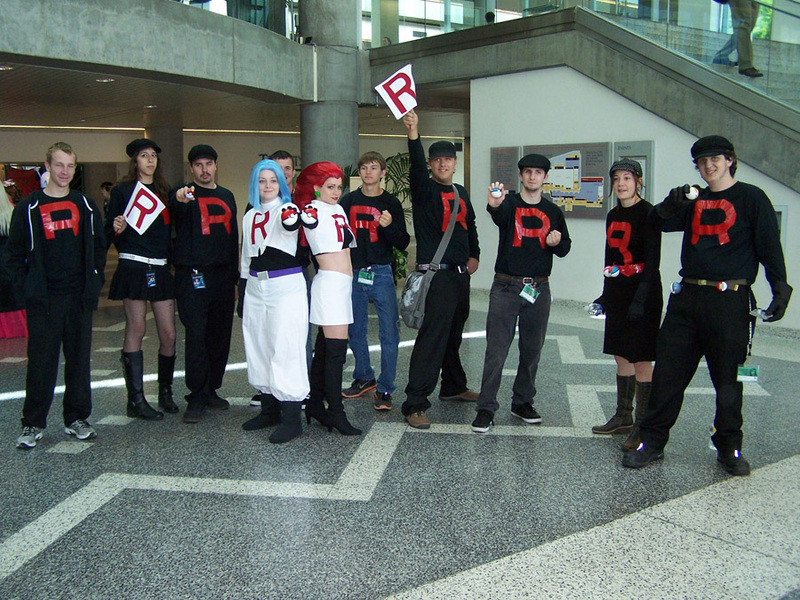 The "R" is an applique which was applied with heat n' bond and machine stitched down. The boots are regular pumps with permanent spandex boot covers. The wig was definitely a challenge. I started off with a bare wig cap and built up a "skeleton" of her hair shape using wire and boning. I stuffed the wire frame with plastic bags and polyester batting to help maintain it's shape. I also used a layer of batting on the outside of the wire to add more stability/volume. Next, I added a layer of red felt so that, if the felt showed through the red hair, it would not be as noticeable as say, the batting. The hairline of the wig cap was lowered into a widow's peak with some side burns to help create the signature hairline. Next, I sewed wefts using 7 packages of wig fiber. Once the wig was covered in fiber, individual pieces of fiber were glued along the tips of the hairline to create a more natural look. The wig stays on my head using 4 wig clips, which are sewn into the front and sides of the wig. 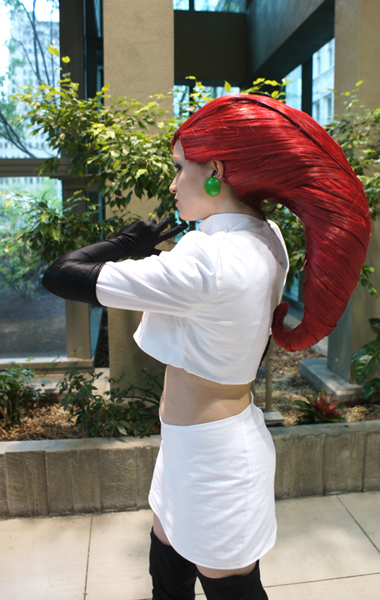 If you are planning on making your own Jessie wig, I recommend following this tutorial. There are many similarities to my method but because she started off with a wig to begin with, it requires much less work and looks much better in the end! This costume is SO MUCH FUN. 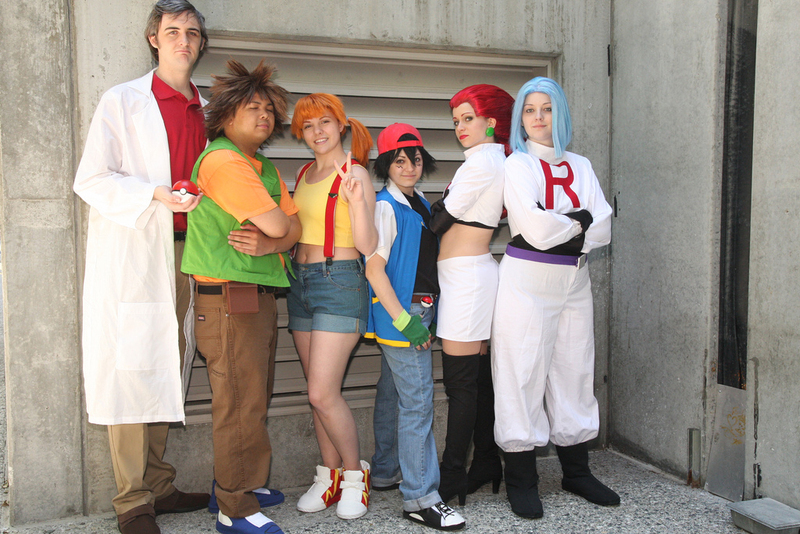 People really love Pokemon and the response we got was awesome, bordering hilarious. 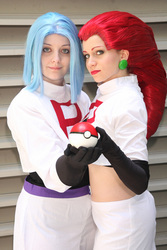 I don't usually do the whole cosplay RP thing but it was impossible not to do as Jessie. It was so unexpected and so much fun.